Looking for stylish party ideas? Chalkboard masks and designer piñatas from local brand Until will impress the guests and keep the kids entertained. Check it out. Throwing a great kid’s party is not just about the decorations, you need a few fun activities up your sleeve to keep those happy hordes occupied. 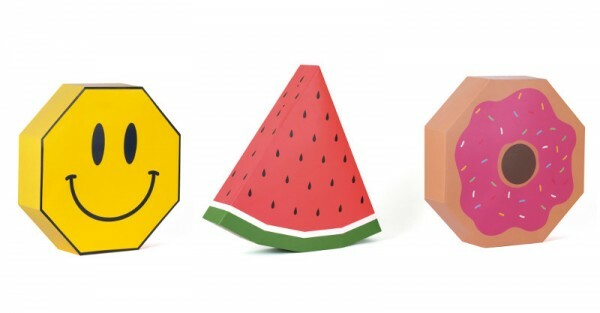 These chalkboard masks come in precut shapes, but without a printed face. Kids design their own masks, using their creative minds to invent a range of characters and expressions. Not only are they a wonderful party activity, but a fun item to keep in the dress up box, or for kids who love theatre games and role playing. These chalkboard masks come in a set of eight with a variety of shapes and include elastic strings and two sticks of chalk. Such an original way to unleash those powerful imaginations. 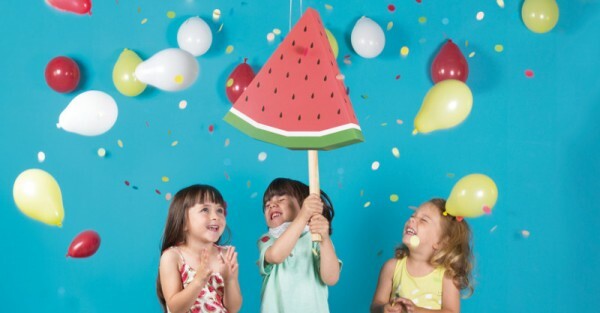 From a new idea to a classic twist, Until are also releasing a gorgeous range of colourful pinatas. Perfect for a summertime party, these pinatas are so cheerful and without any of that tacky paper fringe of yesteryear. Available in a doughnut, watermelon, or smiley face design just pack them full of confetti, lollies or toys and let the kids go wild. You can get your hands on a pack of excellent chalkboards masks or a snazzy piñata at Until. They ship anywhere in Australia. For more ideas on how to throw a wow-worthy event take a look at our brilliant Babyology parties section.